There are many different types of vehicles on the market. 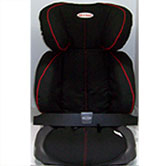 There are also many different types of child restraints designed by different manufacturers at different times for different uses. Often for child restraints to be installed properly, they may require parts or accessories to ensure they fit to vehicles. The types of parts or accessories required may be different from vehicle to vehicle or even model to model depending on largely where the anchor points have been installed by the manufacturer. The types of parts or accessories commonly required are extension straps, anchor bolts & gated buckles. We stock a complete range of restraint accessories required to properly install your child restraints. Almost all passenger vehicles have provision of at least 3 child anchorage points, however many times the anchorage provisions on at least 2 of the 3 are disguised by plastic plugs or caps, or hidden beneath carpet. Whilst the anchorage point “provision” is in the vehicle the actual anchor bolt & hook may not be installed & may need to be purchased. Some hatchbacks, station wagons & 4wds require extension straps for the rear tether strap to be long enough to reach to the factory anchor points in these vehicles. They come in 2 lengths 300mm & 600mm. The most common size to fit most vehicles is 300mm, however the 600mm length will be required for anchor points located longer distances away from the back seat. Some hatchbacks, station wagons & 4wds require extension straps for the rear tether strap to be long enough to reach to the factory anchor points in these vehicles. Unfortunately in some older vehicles the anchor points are located right at the rear of the hatch or tailgate. This causes the problem of the restraint straps needing to pass through the “boot” or storage area of the vehicle, causing problems with prams & other items. Adjustable extension straps have been found to be useful to help work around this problem, particularly a forward facing setup. They have a simple adjustment, release button that can be easily released from inside the “boot” area, allowing the straps to be loosened or temporarily disconnected to get prams etc in & out. The strap can then be easily reconnected & re-tensioned. Most vehicles now have lap sash seatbelts which are those that fit across both your lap & chest. There is generally no satisfactory way of retaining firm tension on most child restraints when these seat belts are used. No matter how firmly you are able to fit your child restraint, in most cases they will come loose & “wobble” & move considerably. A product called a “Gated Slide” or “Gated Buckle” is recommended to ensure the child restraint remains securely fitted. One of the most common risks with your child restraint is that it will be accidentally disconnected by a passenger or a child. The restraint uses a normal car seatbelt & tether strap to hold the restraint secure in the vehicle. Passengers who sit beside the child restraint often reach for their own seatbelt buckle & accidentally disconnect the child restraint. Often they will not know they have done this. Your child may then be traveling in a restraint not secured by the seatbelt. 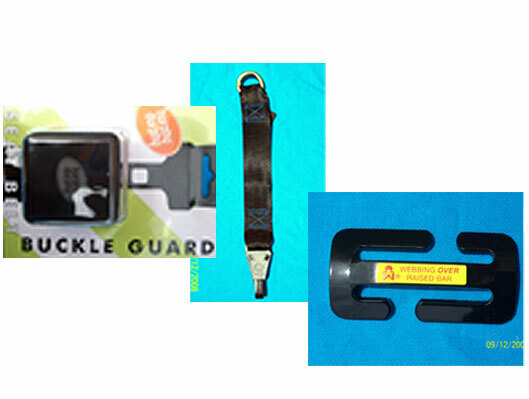 A product called a Hurphy Durphy Buckle Guard is available to fit most vehicles & is designed & approved to cover the seatbelt buckles on your child restraint. This should significantly reduce the risk of the child restraint being accidentally disconnected. The current Safe N Sound Baby Capsule requires an 800mm adjustable connector strap to release & tension the strap to the rear anchor point. Often in “borrowed” capsules or previously used capsules the connector strap becomes detached & lost. Without the connector strap the capsule is unable to be used. The current Safe N Sound Baby Capsules use a white poly cotton liner. Often people with older or borrowed capsules have old style artificial wool type liners or no liners at all. These liners are available in our vans & can be purchased on request. Most but not all new child restraints come with some form of protective mat to protect your cars apholstery from marks, spills , food etc. The Safe N Sound Seat Protector is a full length black fabric mat that fits beneath & behind all restraints offering some protection to your car seats. These mats are available in our vans & can be purchased on request.